Comfortable and stylish apartment in the center of Pilsen in a house built in 1924 by the famous Pilsen architect Hanuš Zápal. 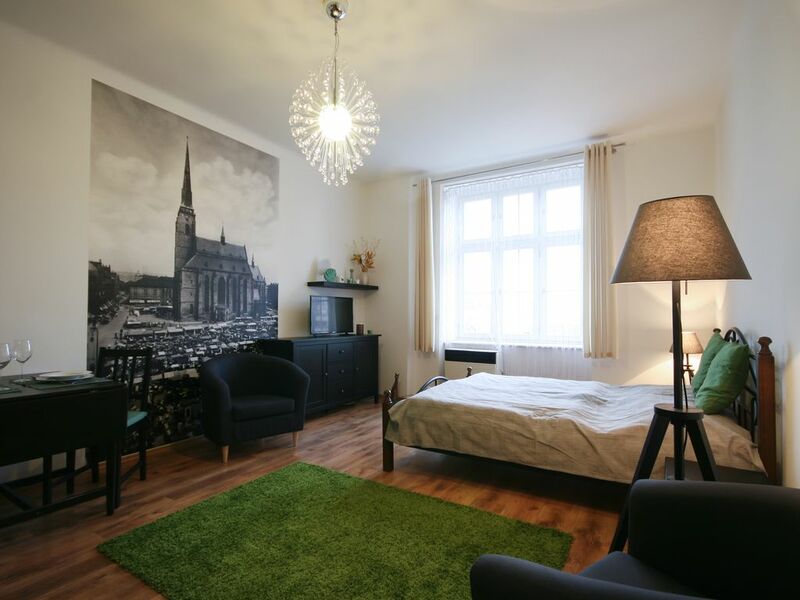 5 minutes walk from all major tourist, cultural and gastronomic attractions of Pilsen - St. Bartholomew's Cathedral, Brewery Museum and Historical Underground, Pilsner Urquell Brewery, Adolf Loos Interior, Techmania and 3D Planetarium, Great Synagogue, DEPO2015, Zoo, Dinopark. Fully equipped kitchen and bathroom.